Gator Vacuum has provided West Palm Beach customers with professional central vacuum repair, service, and installation for over 30 years. Our products and services are affordable, clean, efficient and require very little maintenance. Your business is important to us! Communication careful attention to our customer's needs is our primary concern. We don't only want you as a customer today but as a customer 10 years from now. A qualified repair technician in West Palm Beach (or surrounding areas) will come out and service, fix or replace your system - leaving the job site clean and orderly. Whether Gator Vacuum is repairing an existing vacuum in West Palm Beach or installing a new system, our goal and satisfaction lie in the knowledge we’re doing the job right. We do not contract out our central vacuum repair work - We do it ourselves. ❤ Ask about Senior Citizen Discounts. We are a professional central vacuum repair company and show up on time; just as promised! Once we have discussed the details of your repair, upgrade or installation, a certified technician will be scheduled and dispatched to your home. Large or small, we'll take on the job. Gator Vacuum installs, sells, services, repairs, fixes, and overhauls all makes and models. - Robert Buckwald, Owner. Where Can I Find Quick Service? At Gator Vacuum, our technicians have been servicing and offering Vacuum Repair &nbsp for close to 30 years or more. Gator Vacuum & Sewing Co. is located conveniently in downtown Coral Springs, Florida and All work is done on premises. Gator Vacuum is A+ Rated and a Certified Central Vacuum Repair Facility trusted by the Better Business Bureau or BBB. If you have questions about our service &nbsp or would like to speak with a knowledgeable specialist, please, don't hesitate to call us today at 561-558-0770. We can arrange a time to come out and repair or inspect your central vacuum system 7 days a week even after 6 PM. We work around your schedule to accommodate our customers. Gator Vacuum & Sewing Co. is located in Coral Springs, Florida just east of the Sawgrass Expressway on Sample Rd. "All work is done on premises." We are only a few minutes from Boca Raton, DelRey Beach, Hollywood, Deerfield Beach, Margate, and most Palm Beach and Broward County cities and towns. The easiest way to travel to us is by taking 441 or the Turnpike and get off at Sample Road. Then Travel west approximately 5 miles just past University. We are approximately 1/2 mile west of University Drive. Click on the map to the left for more precise directions from your location. * Same Day Service subject to daily availability. 13 Aug 2016 "Wonderful people very knowledgeable, helpful and honest. 05 Aug 2016 "Efficient and pleasant. 12 Jul 2016 "Great "service with a smile"! 07 Jul 2016 "Excellent advise and products! 24 Jun 2016 "Great service. Very helpful staff. 14 Jun 2016 "Great products and wonderful service! 05 Nov 2014 "Knowledgable and prompt service. 05 Nov 2014 "Love my miele ... Can't live without it!!!! 31 Oct 2014 "Very friendly service. Fixed my vacuum on the spot. 30 Oct 2014 "Always great service! 29 Oct 2014 "Love my vac and the service. 29 Oct 2014 "Had my Miele for years, love this store, love my vacuum. 25 Oct 2014 "Always efficient and honest. Get the job done quickly also. 18 Oct 2014 "Exceptional, knowedgeable service. 18 Oct 2014 "Very knowledgeable and very courteous! Thank u! 16 Oct 2014 "Sharon was extremely helpful as well as knowledgeable. Gator Vacuum has been servicing and offering Sewing Machine Repair now for over 24 years. Gator Vacuum & Sewing Co. is located in Coral Springs, Florida just east of the Sawgrass Expressway on Sample Rd. "All work is done on premises." We are only 5 to 20 minutes from Boca Raton, Coconut Creek, Deerfield Beach, Margate, Tamarac, Parkland, and Pompano Beach. Our expert Sewing Machine Technicians are well experienced and certified to repair sewing machines, both new and old. Click Here - for our 5% senior discount! Is it accurate to say that you are having issues with your Central Vacuum System or Household Vacuum? 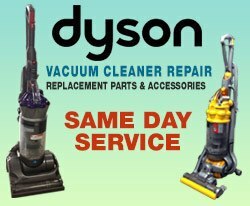 Rather than purchasing a pristine vacuum cleaner, get your vacuum for repair at our establishment. Vacuum cleaners are the most widely recognized and machines in your home, and it's normal to require general vacuum cleaner upkeep and repairs. 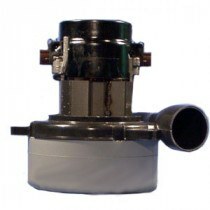 Regardless of whether you're utilizing an old model sack vacuum cleaner, another bagless model, or different focal vacuum cleaner frameworks, support is vital to keep your vacuum working appropriately. 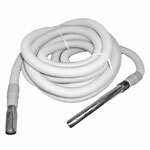 On the off chance that your vacuum cleaner belt is harmed or your vacuum hose is punctured, your vacuum may not run well or could lose suction. Punctured hoses and broken belts can leave earth, garbage, and hair stuck in your mats and covers. Regardless of whether your vacuum is worth $100 or $1000 dollars, in the end, each vacuum will hint at wear and tear and will require support, repair or installation of parts, hoses, or embellishments.